Autism is a neurological disorder and spread all over the world with its multiple symptoms. As this neuropsychiatric disorder is found in 1 out of 68 children in the U.S according to the 2010 data report of CDC, it can’t be neglected. The core reason of autism is deeply rooted in human genome, because a wrong genomic expression can develop ASD (Autism Spectrum Disorders). Autism is also known as ASD because of its multiple disorders. So, it can be clearly said that, this genetic brain disorder is considered as an incurable one till now, but it does not mean that we have nothing to do against this incurable brain disease. Apart from that, we must keep in mind that if we ignore this neuropsychiatric disorder characterized by impaired social activities, then autism or ASD may turn into another brain disease (Epilepsy) at the late adolescence stage. Therefore, it is better to diagnose the autistic disorders as early as possible. Early diagnosis of autistic symptoms in childhood can be beneficial for the treatment. A question may arise that, we know autism as an incurable disease, then, why are we talking about the treatment? A treatment can reduce the abnormal, impaired social behavior to some extent, and a treatment with long session can prevent the turning of autistic disorders into a new brain disease (an epileptic condition). Besides medications, several behavioral interventions and therapies are used to treat autism, such as ABA (Applied Behavioral Analysis). Behavioral interventions are not enough to defeat or rip off autism, so therapy like HBOT has been invented to reduce the autistic social disabilities. 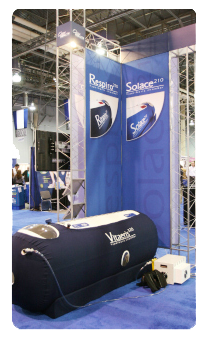 HBOT uses oxygen at higher atmospheric pressure. Oxygen flow at the higher atmospheric pressure through blood stream can enhance the impulses as well as the verbal and social responses, after it reaches the damaged neuronal tissues, especially of the frontal cortex region of brain. Besides all these medications, interventions and therapies, android and iPhone applications based on autism have made their places in the journey of autism treatment. What role does an app play, to stand beside all of therapies and interventions? AppyAutism is a search engine to find apps made for the autistic children. It is an innovative idea to get information about autism and ASD for the families having autistic children. The apps are not only made to get information, they are also designed for the autistic individuals to play games, which can make them further develop with random practices. AppyAutism is a full database with more than 400 applications to use in mobile, P.C, tab, iPhone etc. Interventions and therapies like HBOT (Hyperbaric Oxygen Therapy) are essential to reduce the autistic disabilities but applications may help in continuation of therapies with an alternative way of entertainment.